Media captionWhy has your commute turned into a nightmare? Millions of commuters will have to pay an average of 3.1% more for rail tickets from 2 January. The rise, announced by industry body the Rail Delivery Group, follows a year of disruption on some lines. There had been calls for a price freeze following the chaos caused by the introduction of new timetables in May. The rise, which is lower than the 3.4% average rise for fares in 2018, means another £100 for a Manchester to Liverpool annual season ticket. Anthony Smith, chief executive of independent watchdog Transport Focus, said the rail industry got £10bn a year from passengers, who wanted a reliable railway offering better value for money. Fewer than half (45%) of passengers are satisfied with the value for money of train tickets, according to Transport Focus. Alex Hayman of consumer group Which? said the new price rises would only add to passengers' misery after a year of timetable chaos, with rail punctuality falling to its lowest level in 12 years. "Value for money needs to be a key part of the upcoming government review and passengers must receive automatic compensation for delays and cancellations," he said. Shadow transport secretary Andy McDonald said the increase showed "a government and rail industry out of touch with passenger concerns", while RMT union general secretary Mick Cash called it "another kick in the teeth for passengers on Britain's rip-off privatised railways". What does the rail industry say? Rail Delivery Group (RDG) chief executive Paul Plummer admitted that no one wanted to pay more to travel, "especially those who experienced significant disruption earlier this year". "Money from fares is underpinning the improvements to the railway that passengers want and which ultimately help boost the wider economy," he said. 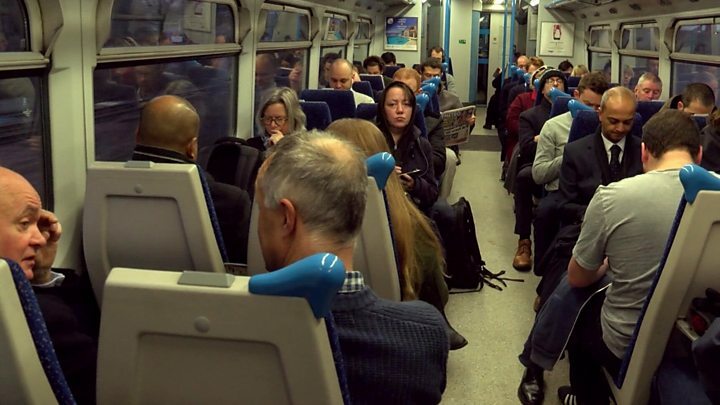 The RDG said train companies would introduce 7,000 new carriages, supporting 6,400 extra services a week by 2021, meaning more seats on more reliable, comfortable and frequent trains. "After a year of horrendous disruption to the railways this really is abhorrent," Chris in Cambridge told the BBC. "I travel from Cambridge to London for work each day costing me just under £5,000 for an annual season ticket. For the three months of disruption I was refunded approximately one month's worth of my season ticket." Media captionHow do UK rail fares compare to Europe? Rachel in Sheffield said she could not believe fares were rising. 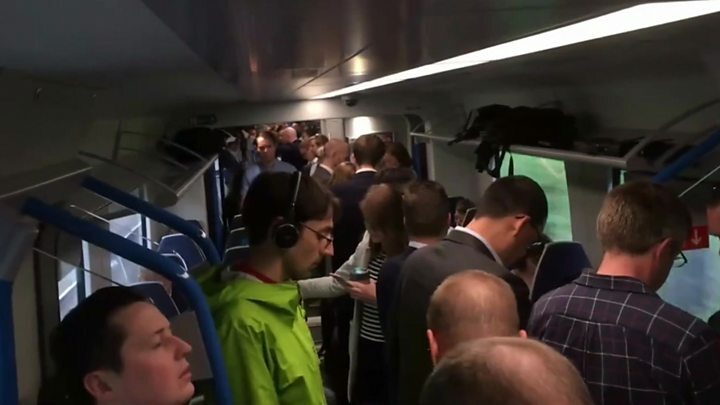 "I have now had to change my start times at work twice since March this year just to ensure that I actually get on a train [due to overcrowding]". 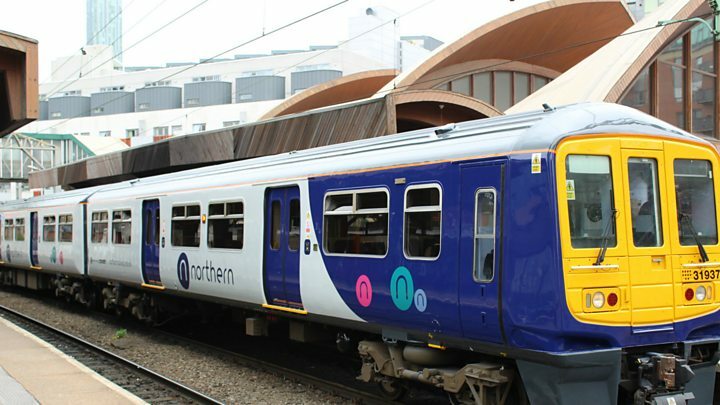 Michelle in Chorley told the BBC her daily commute to Manchester was "a joke", suffering "delays, cancellations, over-crowding, not enough carriages, signal failures". "I'm incredibly lucky to work for a company that allows flexibility in start times but not everyone is in that position," she said. "I have heard of others receiving written warnings from employers for being late multiple times through no fault of their own. "I already feel £1,700 (what I pay for a season ticket) is more than enough to cover the sub-standard service we receive and totally begrudge the idea of having to pay more without any sign of improvement." Will the politicians change the rail fare system? Labour says fares should be frozen when performance isn't up to scratch. Passenger groups agree. However, the industry and the government point to more fundamental issues. With so many people now travelling by train, there are many more services operating on ancient infrastructure. Government funding for expensive upgrade projects to deal with overcrowding is only possible, rail bosses say, if passengers - not taxpayers in general - cover the bulk of everyday running costs. And they say if rail fares are frozen, rail companies' costs still rise in line with inflation. Again, the operators argue that taxpayers should not be left to plug that gap. What's happening with the new 26-30 railcard? The launch of the new "millennial" railcard, which will be available to four million passengers, is running slightly late. The Rail Delivery Group had promised that the digital-only 26-to-30 railcard would be available before the end of the year, but that has been put back until midday on 2 January. For a £30 fee, the new railcard will offer one-third off most leisure fares for 12 months. However, anyone travelling before 10am on a weekday will have to pay a minimum fare of £12. This is the same restriction as on the 16-25 railcard. Unlike the card for younger passengers, that minimum fare will also apply on weekdays throughout July and August. The launch of the card, which cannot be used for season tickets, was originally announced by the chancellor in the autumn 2017 Budget. Full details and a savings calculator are available on the railcard website.